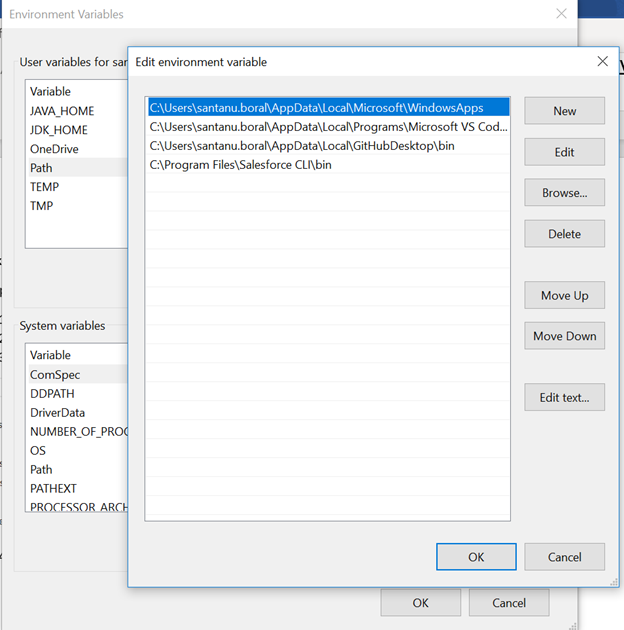 Since Salesforce is recommending to use Visual Studio Code (VS Code) IDE for future development platform and not going to support Eclipse IDE after few months, so I was trying to prepare VS environment for my development purpose. I am already having Salesforce org which has classes, pages, triggers which I want to download in my local system, create a VS project with those files and want to create new classes or components and deploy those from VS Code environment from Salesforce Org. I have gone through Quick Start: Visual Studio Code for Salesforce Development trailhead module, but it was not able to solve few issues which I have encountered with. Here are the steps I have followed to setup and resolved all the issues. This might be helpful for others who has not even worked with Java-J2EE platform or never worked with Eclipse IDE. 1. Install Visual Studio Code IDE from Visual Studio Code version 1.33 download. 2. Install Salesforce CLI which is powerful Command line interface. 3. Install Java SE version 8 from jdk8-downloads and verify Java version. 4. 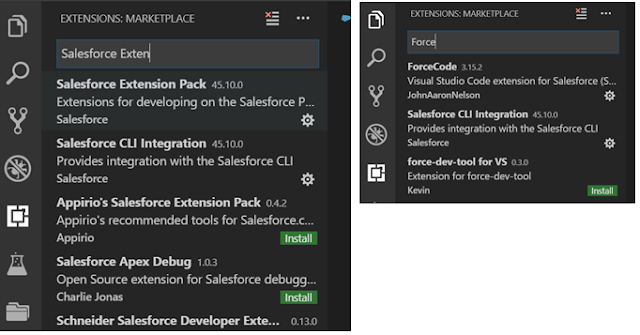 Open Visual Studio and install Salesforce Externsion Pack, Salesforce CLI Integration, ForceCode extensions. 6. Edit "Path" environment variable and add full path of "\Salesforce CLI\bin". 7. If JAVA_HOME is not recognized then add JAVA_HOME and JDK_HOME in System variables. Now, all environment related setup is done. Choose, appropriate org, enter org's user name and press Enter, it will open a new webpage for entering username and password and ask you to authorize. 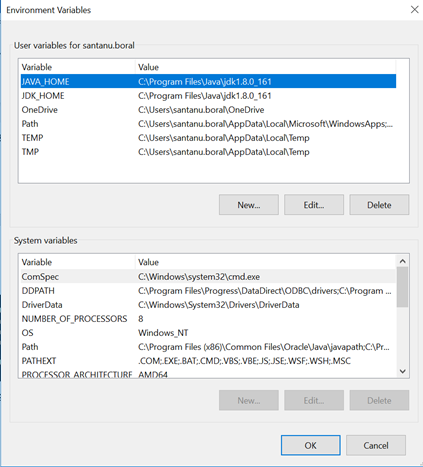 Now, Let's download all the classes and components available in the org to our project. Select the Project (For example My Trailhead Project) and Click on CTRL+SHIFT+P and choose ForceCode: Get Class, Page or Trigger. Finally, all the selected components will be available in the project. 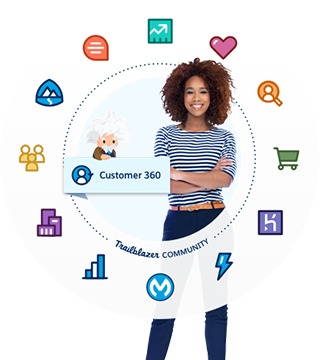 Create a new Class AccountController as mentioned in the trailhead and deploy that in the target org. Finally, IDE is setup and working. Many a times, I thought of having a single glance of Security and Sharing architecture, but over the net I couldn't find it as a simple single flow. I am trying to portray this flow on best of my knowledge. 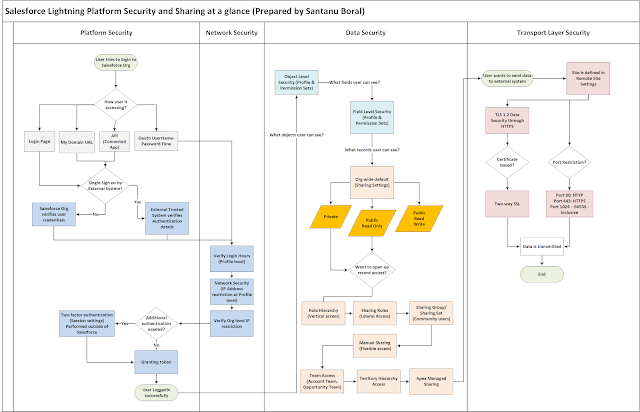 In the below flow, I am trying to showcase what the different layers of Platform Security and when a user tries on login to Salesforce what are the various steps come to play. After successful login, if that user tries to access the record then how Object level, field level security comes into picture. Obviously, in a private sharing model, data or record sharing is always in demand and how that can be achievable. Finally, to showcase transport layer security, if the user wants to send data from Salesforce to external system how different steps occur is good to know. 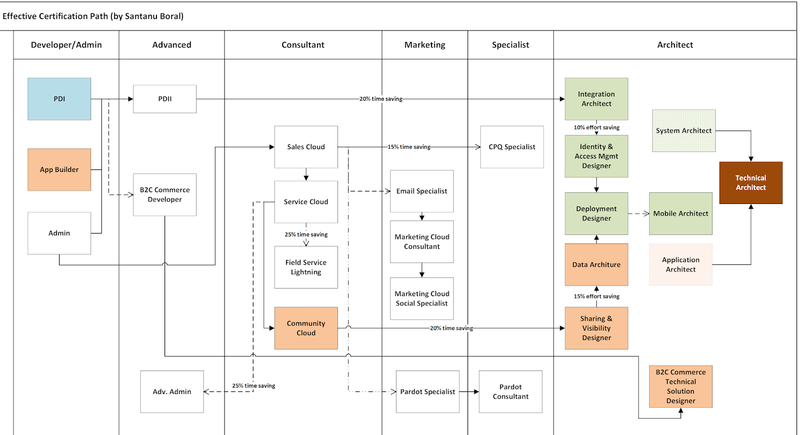 The following picture might help those aspirants who are preparing for Admin, Sales Cloud and Integration Architecture certifications. Business has a requirement to send to daily reminders/email alerts from 20 days prior to Event Start Date until event is not complete. I was answering this question (How to send daily reminders/email alerts before event start date) and thought that it might be beneficial for other too. This kind of use case it also applicable to send birthday wishes to Contacts every year. Here is the way to solve this use case. 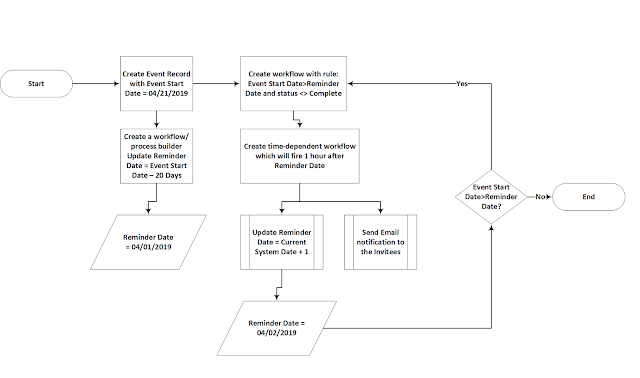 Create a workflow rule based on `Event Start Date > Reminder Date` with other criteria like status is not closed. Create a time-dependent workflow like `1 hour after Reminder Date`. Here you will send an email and most importantly, update `Reminder Date` field to next date. System will compares the dates and every day until Event Start Date it will send reminders. Developer has a requirement to typecast specific object type from the name of SObject and try to update record of the SObject. For example, SObject name is "Account" and Id is ''0012v00002AyZWE''. Developer wants to update Account Name or other field values. But, first one is most efficient which executes in 1ms where as second one takes 75ms and may be higher based on number of objects available at our Salesforce org. We can easily put that in the list of SObject and update the records in one single goal. From the above approaches which one needs to be followed that truly depends on individual use cases. It's good that Apex provides different ways to typecast SObject to specific object. 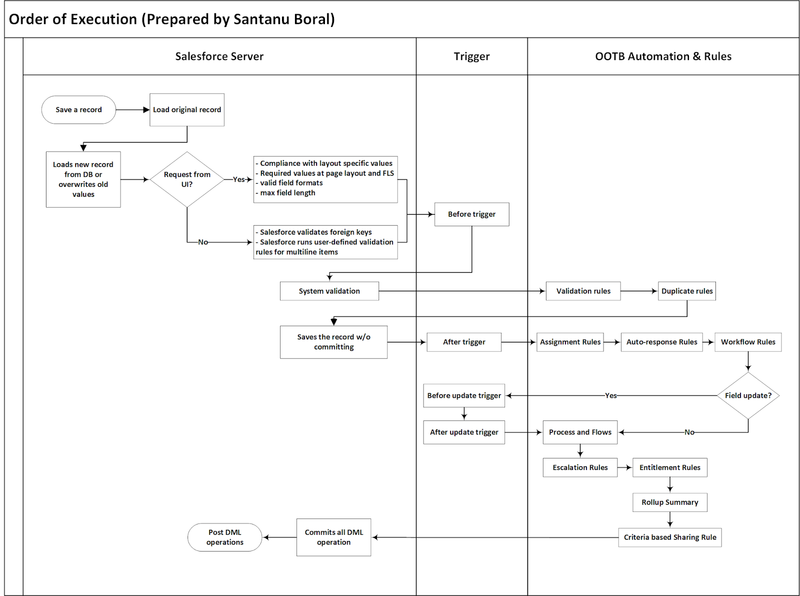 Few Salesforce aspirants are learning Salesforce from me and are struggling to remember and visualize the order of execution which starts with a DML operation and there are involvements of triggers, different types of out-of-box automations like process builder, workflows, flows and different rules. I have shown the field update from workflow, it could be possible that field update can be done from Process Builder or Flow. It will also fire Before update and after update triggers. So, we should design our system in such a way that, recursion should be eliminated. Otherwise due to recursion there will be unpredictable outcome or duplicate actions could be possible. It is advisable that, if we have trigger on the object then not to update any field of that object through workflow or process or flows. Those updates need to be handled through trigger itself.